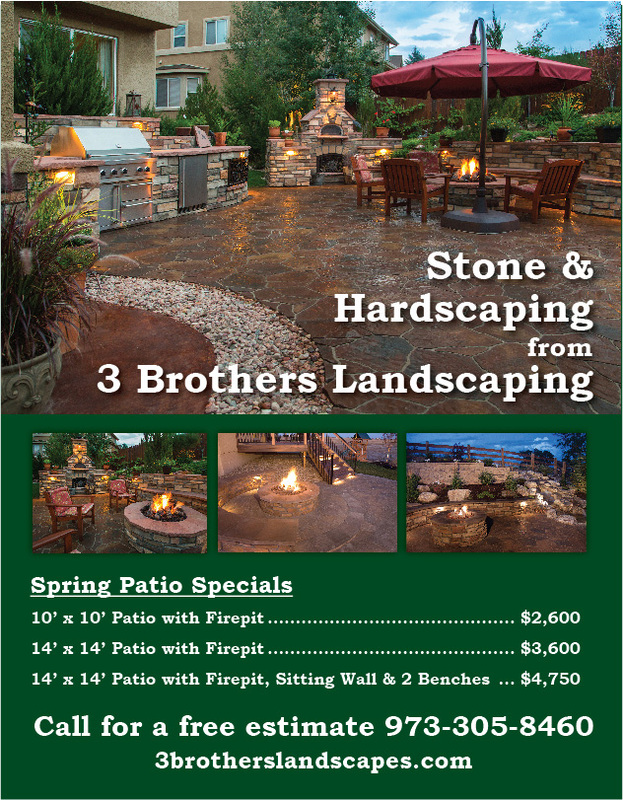 Big savings on our landscaping services! Valuable savings on our services. 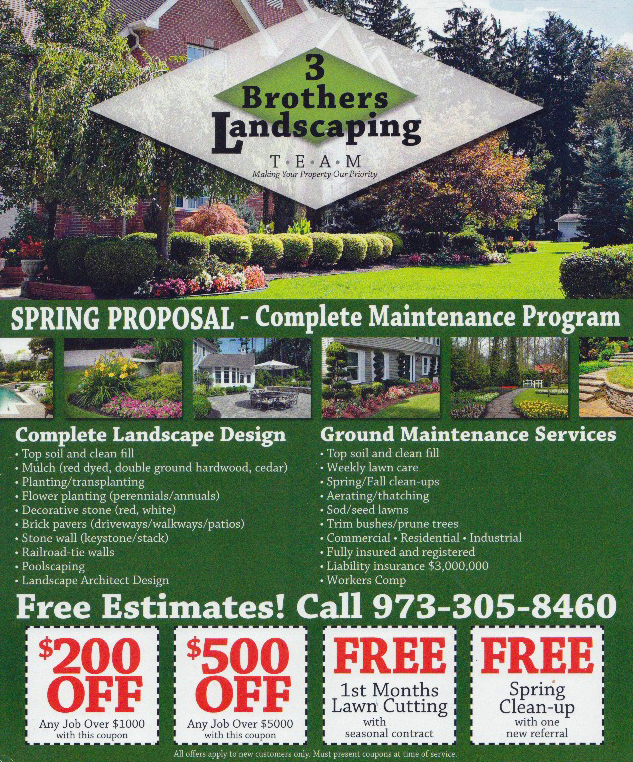 Print out this page and contact us at (973) 305-8460 for a free estimate.